In downtown Flint, two examples of this shift toward mixed-use developments currently underway are the YWCA building and the former Coolidge Elementary School. 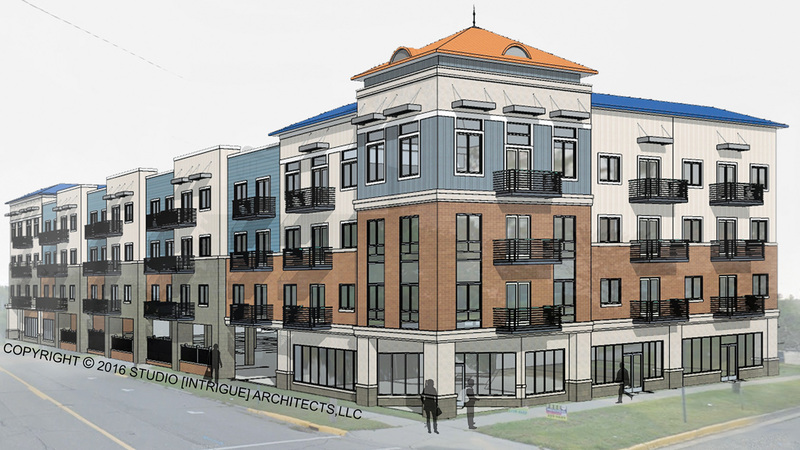 The YWCA building, 310 E. Third St., was recently demolished and construction will soon begin on the 97,910-square-foot, mixed-use development that will include retail, housing units and community-use spaces. Coolidge is also under construction and will include living units, retail and common areas. Outside of the city, Flint Township and Fenton, among others, are picking up on the trend. 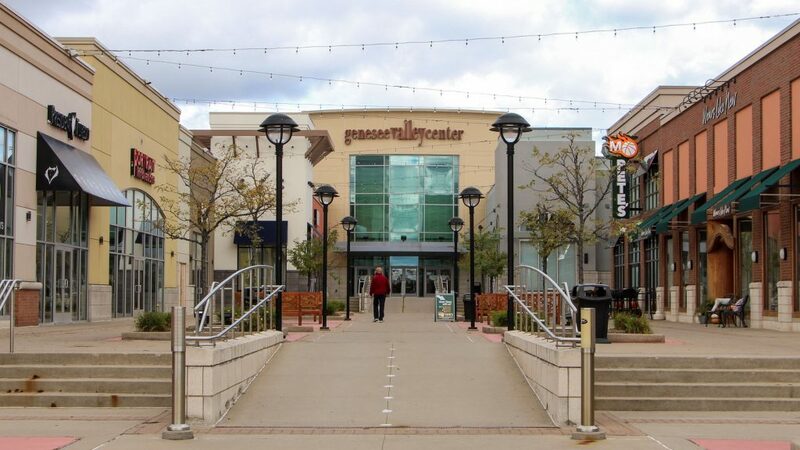 While Flint Township is not currently in the process of redeveloping retail spaces into mixed-use spaces, that doesn’t mean it isn’t coming. In fact, township officials are planning for it. Tucker added that the growth of huge plazas and strip malls may be a thing of the past because of changes in the economy and public preferences. The potential mixed-use redevelopment could create solutions for vacant retail space, as well as satisfy the changing needs of the population. Tucker anticipates that Flint Township will see that ‘downtown feel’ trend growing, and they are trying to figure out how to adapt. “We are working on how to create these mixed-use spaces, how and where to do it. We have some ideas…but, we will see what happens,” Tucker said. Another area in Genesee County seeing changes in development and making a concentrated effort on developing a walkable downtown is Fenton. 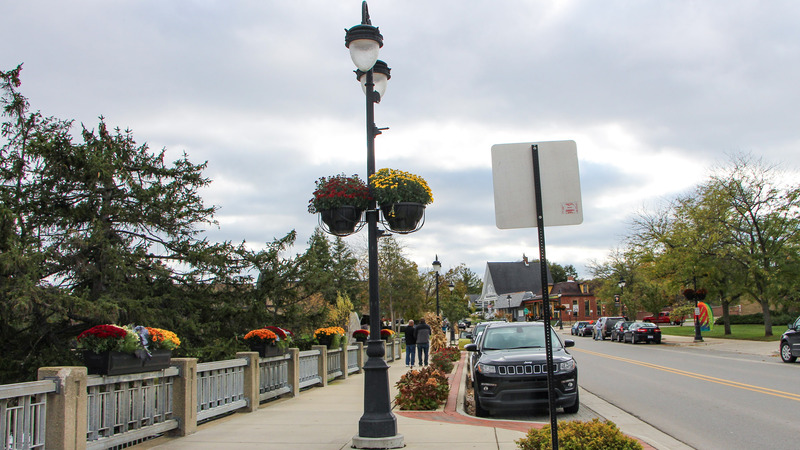 Lynn H. Markland, Fenton city manager, has seen a tired and sparse downtown – when he first came to his position in 2008 – revitalized. The rate of pedestrian traffic has risen drastically. 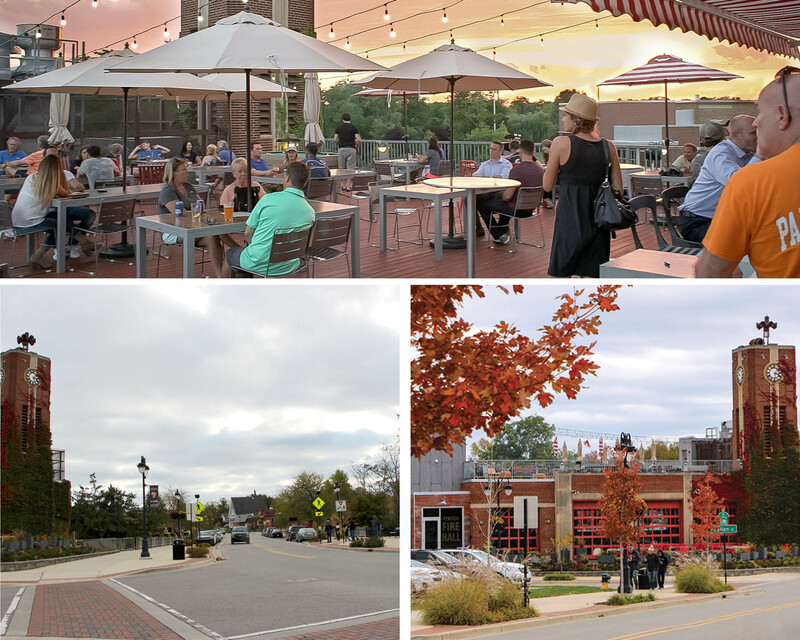 He attributes the change as partly due to the redevelopment of vacant downtown spaces and also due to Fenton’s $4.7 million investment in a streetscape project for downtown that began in 2015. One of the first vacant buildings in Fenton to be repurposed in the latest upswing was Fenton Fire Hall. Built in 1983 and vacant for just over 10 years, the old municipal building was renovated and reopened in 2013 as Fenton Fire Hall restaurant. In 2016, another vacant building in downtown Fenton was offered a similar renaissance. 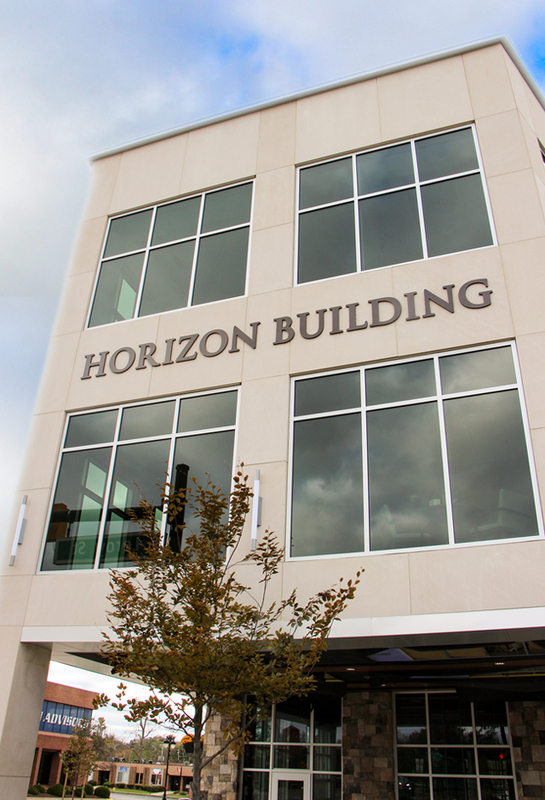 Completed this fall, the Horizon Building is a combination office-retail structure. The three-story building features a tight setback from the street with light fixtures, sidewalk pavement and planters that match the city’s streetscape, creating a cozy pedestrian environment. In Fenton’s business district on Silver Lake Parkway, a vacant Kmart building – closed since 2016 – is also under construction. The plans include dividing up the space and converting it into a TJ Maxx, Petco, Five Below and Michaels. Although the repurposed vacant Kmart building in Fenton will still blend in with the strip mall it is attached to, it does point toward a move toward smaller retail spaces. 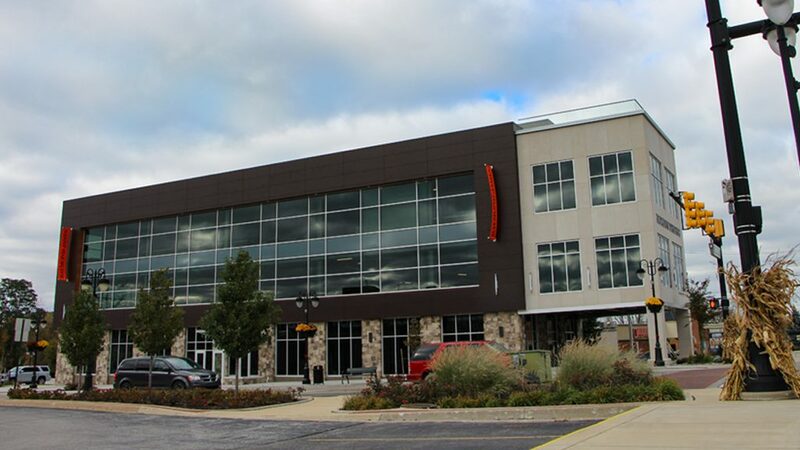 Tucker has also witnessed a trend toward fewer national chain or big-box stores moving into Flint Township’s vacant retail spaces.